These 12 Ideas Are So Brilliant That They Will Make You Want To Try Them. As the saying goes, necessity is the mother of invention. It is when we are in a sudden crisis that the little devils in our minds start working, and we come up with brilliant ideas to fix them. So here are some tried and tested ideas you might wanna try. 1. When you want a swing chair but cannot afford. This person might not have money but is filled with brilliant ideas. He just made a simple chair so rocking that nobody could tell, after a little paint. 2. When you are a beverage lover. Sure you’re gonna have a lot of these crates. So next time before throwing them away remember you can prepare a sofa out of it. This is just too good to be bad. I’m going to try this next time the dispenser goes off. This 5 wheeler is sure to rock on the streets. And you might wanna try this with your old bicycles, but remember it’s all fun until he has to turn or stop or hit a bump. 5. Or you can replace the front wheel with a shopping cart. Guys aren’t you loving these brilliant ideas? Like who would have thought of the reusing those bicycles which are without a wheel? But when you cannot afford a new one you, these ideas pop out. Although the problem brakes and bumper still remains. 6. When mechanical engineers took their class too seriously. Funny thing you might even drive this with motorcycle permit. Who can tell if it’s four wheeler or a motorcycle? But any how it works. This is how you get it fixed. No you don’t have to buy a new one or change it, you just need to draw one. 8. Do we need taps anymore these days? After this brilliant hack I don’t think so. Anyways the plumber charges so much to fix a tap. So having a straw and really come handy. 9. 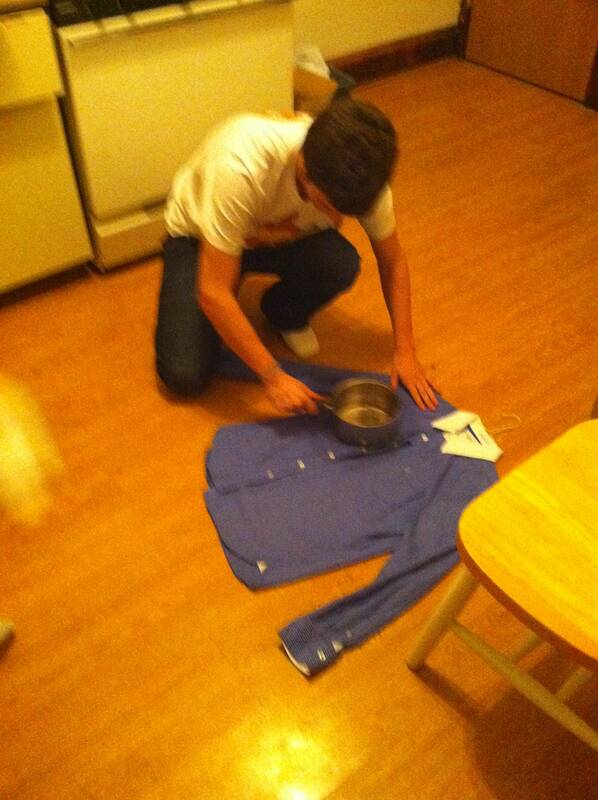 DIY iron for lazyheads. Did you know that the hot sauce pan would just work fine? And it’s not too much of effort. Try it and you’ll never want an iron again. 10. Tennis ball suspension lift. It’s surely strange, but people seemed to be using this. Apparently, this technique increases the stiffness and boosts the stock spring rate in stock class. And you thought selling away your old TV was better. It just adds so much uniqueness to your place though not the way it’s supposed to. 12. Brooms are supposed to be the best wipers. Aren’t they? Next time your wiper breaks, your broom comes to your rescue. Once you need to try this brilliant idea. What To Expect From The Season Finale Of Game Of Thrones? People Born Before The Year 2000 Can Only Relate To These 12 Pictures. Are You Still Using These 10 Common Emojis The Wrong Way?